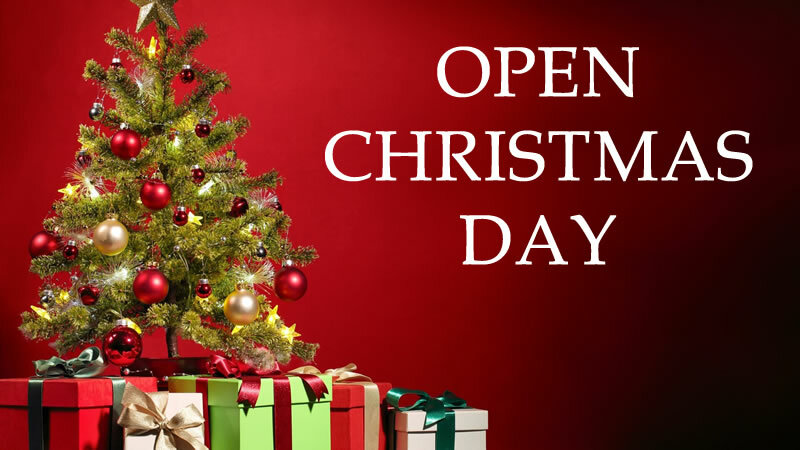 What's open on Christmas Day - Wednesday 25th of December 2019. There are plenty of things to explore and keep you entertained on one of the quietest days of the year. Weather Forecast: 26°c Sunny. Light winds becoming southerly and increasing to 20 to 30 km/h in the afternoon then becoming light tonight. Federation Square - Christmas tree and Bauble will be lit up. Bring a picnic or take a walk in one of Melbourne's many beautiful, lush parks. Explore Melbourne's laneways, waterfront and architectural gems. --> See the full list of street art and public art. 7-Eleven including Federation Square, Swanston Street, Elizabeth Street, Collins Street, Flinders Lane, Bourke Street and Lygon Street Carlton.